the film: the first film that shokoofeh developed was a fujichome sensia 400. it was slide film, and so we added another layer to the fun in cross-processing it in C41 chemicals for regular negative film (at least i think we did - shokoofeh had some trouble finding a lab willing to do that). the film shokoofeh sent to me and which my photo lab man lost for nearly a month was a regular fuji 200 negative film. it was developed normally (aside from the losing it). and i think that worked out better. the ISO: the film swap people (aka that film swap flickr group) recommend that the person taking the first round on the roll doubles the ISO setting on the camera - so if you have a 400 film, you should tell your camera it's an 800. after these two rolls, my opinion is that that doesn't really work. we're going to try a roll where we've set the ISO to the correct setting and see how that goes. the light: the shots that worked best seemed to be when they were taken in light conditions that were a bit too dark for the ISO settings. for example, this shot, where the light was good and moreover correct for the settings, shokoofeh's shot is pretty much obscured. then, there were these shots, where the light of the second picture, while obscuring somehow the first one, also brought it out at one and the same time. half frames: i don't have any theories yet as to what makes one set lined up and one set off alignment, so that the second shots are all half frames on the first ones. one of these ended up with some half frames and some not - it must have something to do with how the films advanced along the way. the camera: i used a canon AE-1 program to take my shots. and shokoofeh used an olympus OM-1. i don't think the camera matters, tho' perhaps the frames are more reliably lined up if you use the same kind of camera, due to differences in how they advance the film. my sister and i are going to do a film swap and we'll both be using the canon AE-1s, so i'll have more data after that. 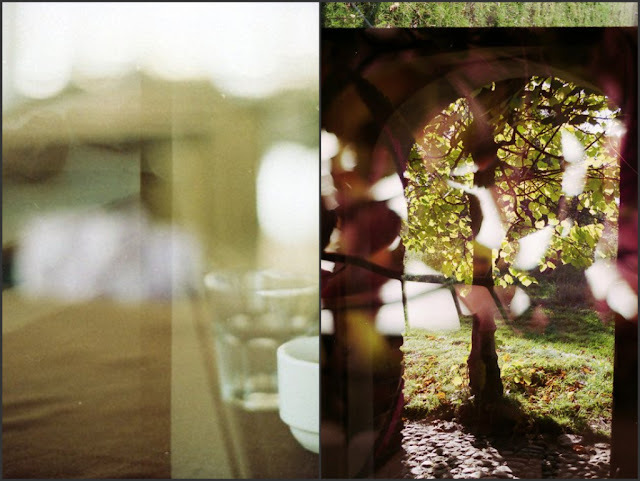 the magic: we had a couple of shots on both rolls, where it seemed to be a triple exposure. i don't know if this is because one or the other of us failed to advance a frame or if something else happened, but it was rather magical. other than that, i think the magic is in the serendipitous and completely unpredictable layering of the shots. the magic is just there and you don't have much control of it. the serendipity: sometimes, the two shots have a similar subject matter, tho' neither photographer could know it at the moment of taking the photo. and it's those times when it seems like the image is as close as you can get to two souls touching. ulrika blogged about our photos..please check it out! and thank you, ulrika! It's interesting to see what you're doing here with film. Thanks for explaining the process. 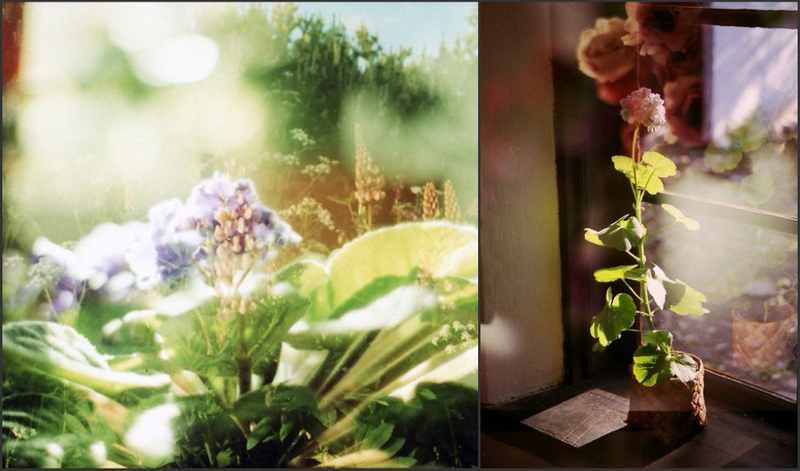 love these diptychs - and reading your thoughts! i also think that it might be better to set the regular iso for the first round and maybe even half it for the second round, as the film will be getting a second injection of light and thus generally be overexposed, no?